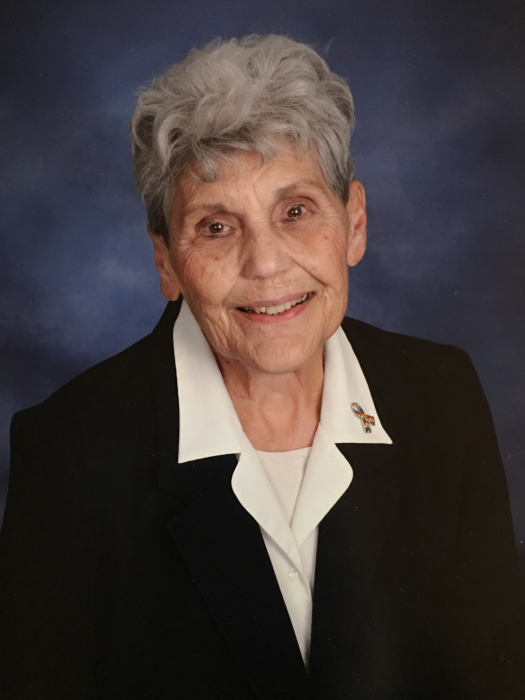 Betty Jean Ricketts, 89, of Bettendorf, passed away on Friday, November 16, 2018 at the Iowa Masonic Health Facilities. A Celebration of Life service will be held at Lahey and Dawson Funeral Home in Maquoketa, Iowa on Wednesday, November 21, 2018 from 5:00 – 7:00 p.m. with a burial at a later date at the Rock Island Arsenal Cemetery. Betty was born on July 19, 1929 in Marshalltown, Iowa to John and Pauline (Corneilison) Robbins. She married William A. Anthony on November 25, 1948. Betty was a member of the First Baptist Church in Bettendorf. She enjoyed volunteering for Iowa Masonic Health Facilities and Manor Care. Betty could always be seen enjoying walking as she never drove. She loved to help a lot of people and was very filled with her faith. She is survived by her children; Susan (Tom) Beck of Delmar, William (Mary Ann) Ricketts of Cedar Creek Missouri, Melinda (Larry) Smith of Bettendorf, nine grandchildren, nine great-grandchildren and sister Shirley Rhey of Indianapolis, IN. She was preceded in death by her parents, husband, daughter Kathleen, sister Bonnie, three brothers; Edward, Clifford and Gary. In lieu of flowers memorials may be directed to the Autism Society of Iowa or the Alzheimer’s Association in her honor.